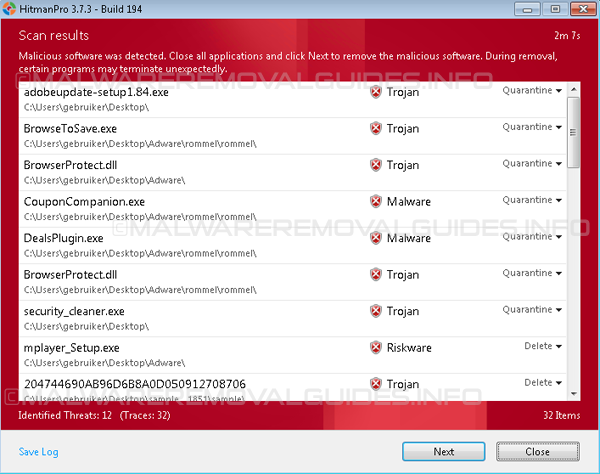 Search.beamrise.com redirects virus is a malicious browser hijacker hat installs into your Web browser like Internet Explorer, Firefox and Google Chrome without the user’s consent. 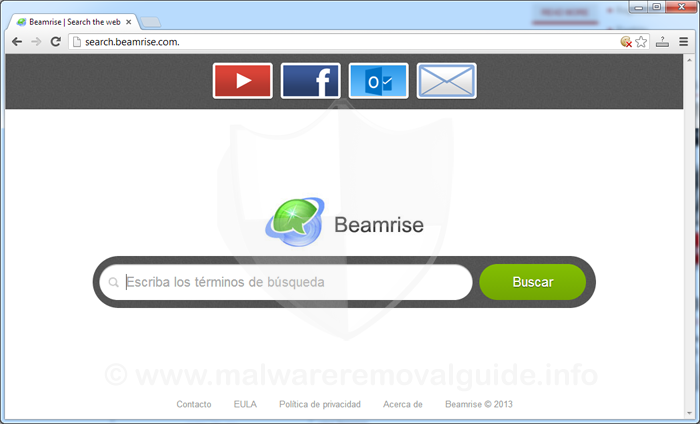 This browser hijacker will change your homepage and the default search engine to Search.beamrise.com. 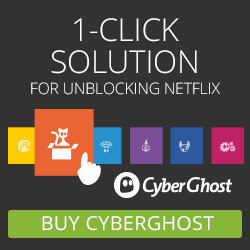 The most commen problems are redirects, pop-ups and annoying sposored advertising in your browser. 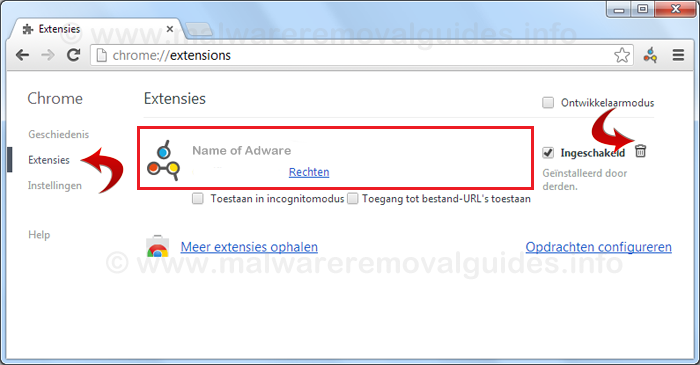 These adware which is also responsible for other notorious search hijackers and toolbars like Beamrise Search Toolbar and related programs categorized as Potentially Unwanted Program (PUP/PUA) gets to your system through free downloads they are packed with a wrapper. Search.beamrise.com comes bundled with various free programs like video players and download applications, PDF readers, creators, converters and similar programs. 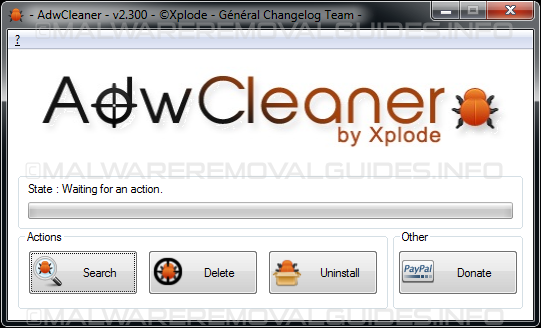 It is very popular among third party (wrapper) distributors to add such programs to freeware downloads and promote their products this way to earn money. If you have problems with the redirects to Search.beamrise.com, various pop ups or a unwanted advertising when you use Internet Explorer, Firefox and Google Chrome , your browser has definitely been hijacked. Please note that this kind of adware categorized as Potentially Unwanted Program (PUP/PUA) can track your browsing activity and even get access to your login information and passwords. The information about your online activity is sent to the remote Command & Control Server straight away and can be used for marketing purposes. Then click on Search.beamrise.com – Beamrise Search to remove this item from this list, simply highlight it and click on then on the Remove button. 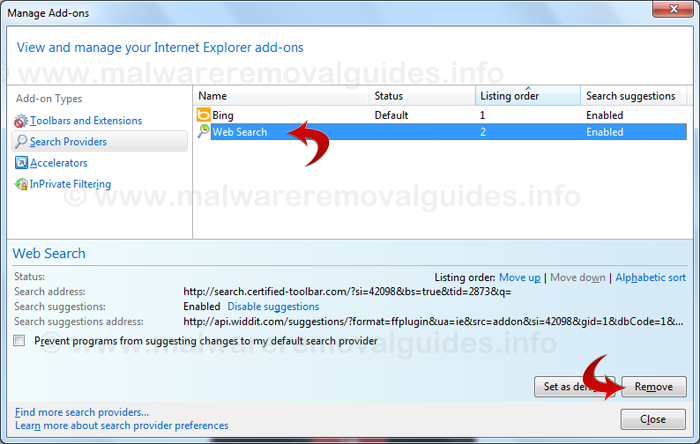 (If ‘Search.beamrise.com – Beamrise Search’ is not present then you can skip this step).